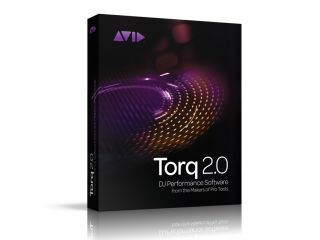 · Four virtual decks with EQ, level control, headphone cueing and crossfade—enable customers to play four tracks at once to create unique, complex and dynamic mixes. · Traq Morph™ technology—patent pending innovation blends music tracks in exciting new ways by intelligently applying audio effects during crossfade. · Open, flexible workflows—provide DJs with the flexibility to use the software with M-Audio Xponent® and Conectiv® DJ and third-party hardware, or stand-alone without any hardware at all. · Updated user interface and database—gives users the ability to sort through tens of thousands of tracks, including Apple iTunes Store libraries, to quickly create distinctive mixes. · 13 built-in effects and VST effect support—enable customers to reinvent sound by stacking up to four simultaneous built-in effects and one VST effect per deck, allowing for up to 20 effects at once. · Advanced recording options—empower DJs with the ability to capture their entire performance with an integrated performance recorder for distribution or editing. As a result of ReWire, they can also create, mix and record with Pro Tools or third-party DAWs, bringing their DJ performance to the studio environment.